News just breaking in :- ABDV retires from all international cricket. I heard. Sad news but was bound to happen. Does that include T20 franchises like IPL? Daanav wrote: I heard. Sad news but was bound to happen. Does that include T20 franchises like IPL? i think ABD continue in IPL alone. as it’s once an year only but pay is many times more than what he get on international matches it’s a sane decision. he sure got HUGE fan following in india whichever team he plays for. if comes under hammer next year ( in case) he would top the chart for sure. Great news!!! who wants to play international cricket anyway? that too thankless low pay test cricket? no thanks. So, money is more important than National pride. However, his choice, his decision. Now he will also continue to play all the local T20 leagues!!!!!! The importance of ABDV cannot be underestimated.He was critical in RSA winning the test series against India and Australia. 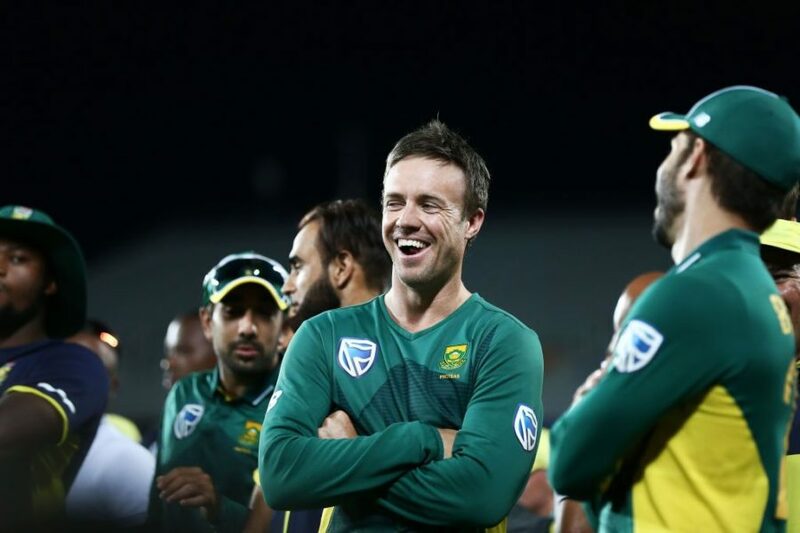 RSA would have lost the test series to India if ABDV did not launch his counterattack when RSA were 12/3 in the first test. I am safely ruling out RSA winning next year's World Cup. Although stranger things have happened in cricket. The way RSA was decimated at home V/s India in ODI series (AB missed 3 out of the 6 ODI's) shows that RSA batting is very vulnerable. i say every successful IPL player should immediately STOP playing test cricket. They should not be greedy to get that peanut pay you get for playing thankless test cricket. it’s even a different format that might screw up with your form in T20. retire from test cricket. play only T20. work on improving T20 skills. don’t be too greedy. let new comers play test cricket. once they get fame, they too stop playing test cricket and play only T20. use test cricket as stepping stone practice for greater riches and fame in T20. that’s how world demands. be clever. Going South wrote: why not? CA pay good money to contracted players. ABDV I recollect was highly respected by Katto. I am judging purely by comments. bolero wrote: ABDV I recollect was highly respected by Katto. I am judging purely by comments.